"Alan A. Aja is associate professor and acting chair in the Department of Puerto Rican and Latino Studies at Brooklyn College (CUNY). He has published in a range of scholarly and public outlets with focus on inter-group wealth disparities, socioeconomic stratification, and public policy. His recent publications include the book Miami's Forgotten Cubans: Race, Racialization and the Local Afro-Cuban Experience (Palgrave-McMillan, 2016) and co-authored pieces in the Boston Review, the Nation, Dissent, the American Prospect, Latino Rebels and other outlets. Before academia, Aja was as a labor organizer in Texas, conducted environmental research in Cuba, worked as a human rights organizer in Argentina and in a refugee hostel in London. Currently, he is assisting on a documentary/news piece by filmmaker Rudy Valdez on the effects of mandatory minimum sentencing policies on families. He has provided live and/or taped commentary for various media outlets, including CNN en Español, MSNBC™s the Grio, TV3 (Cataluyna, Spain), CUNY Television, Brooklyn News 12 and (the former) Air America. Aja™s parents were born in Cuba. He considers Miami, Florida and Louisville, Kentucky as his co-hometowns. He currently lives in Brooklyn with his family, all Brooklyn Nets fans." This book explores the reception experiences of post-1958 Afro-Cubans in South Florida in relation to their similarly situated “white” Cuban compatriots. 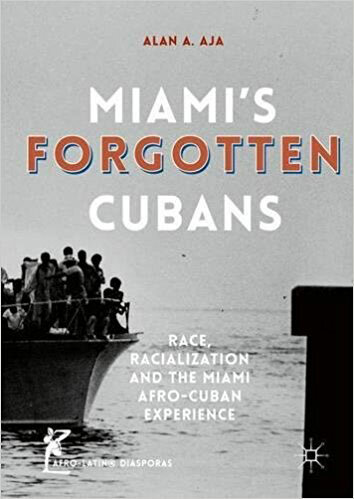 Utilizing interviews, ethnographic observations, and applying Census data analyses, Aja begins not with the more socially diverse 1980 Mariel boatlift, but earlier, documenting that a small number of middle-class Afro-Cuban exiles defied predominant settlement patterns in the 1960 and 70s, attempting to immerse themselves in the newly formed but ultimately racially exclusive “ethnic enclave.” Confronting a local Miami Cuban “white wall” and anti-black Southern racism subsumed within an intra-group “success” myth that equally holds Cubans and other Latin Americans hail from “racial democracies,” black Cubans immigrants and their children, including subsequent waves of arrival and return-migrants, found themselves negotiating the boundaries of being both “black” and “Latino” in the United States. Note: this book is currently at $100 as the publisher attempts to recoup costs from academia. It should come down to what mere mortals can afford, especially if we remind the publishers. How Immigrants Became Criminals 3/17/2017 Boston Review: "According to ICE, “criminal removals” comprised 92 percent of all deportations from the nation’s interior last year, compared with only 3 percent in 1980. Yet immigrants are not committing more crime than in the past. Rather the definition of “criminal” has broadened significantly since the 1990s, when the federal government began criminally prosecuting immigration infractions that were previously enforced as civil matters, while also deporting an unprecedented number of immigrants with minor criminal records." White-Supremacist David Duke’s New Senate Campaign Fits a Pattern 7/23/2016 The Nation: "The enthusiastic Trump supporter and former Grand Wizard of the KKK makes common cause with an international rising right." Complex Histories of the Marginalized: Q&A with Alan Aja, Puerto Rican and Latino Studies Department 11/24/2015 The Exelsior: "Alan Aja is a professor in Brooklyn College’s Department of Puerto Rican and Latino Studies. He received a B.A. in Sociology and Communication n 1997, an M.A. 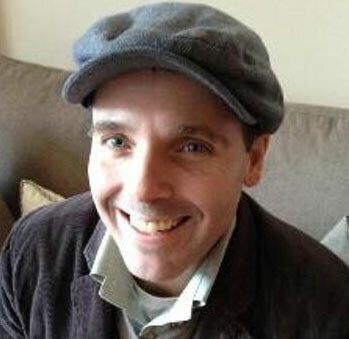 in Sustainable International Development in 2000 and a Ph.D. in Public and Urban Policy in 2008. His courses and research focus on political reasons for intragroup and intergroup disparities." Juan Flores (1943-2014): A Remembrance of a Great Scholar 12/17/2014 Racism Review: "I (read: we) needed to dig deeper into Cuban anthropologist Fernando Ortiz’s view of Cubanidad, which Juan had us critique in the seminar, as an expression of “color-blind” nationalism that seemed to involve everyone but Afro-Cubans. We needed to understand how the “Latin@ propensity to uphold mestizaje (racial and cultural mixture),” as he and fellow collaborator and life partner Miriam Jiménez Román wrote in the Afro-Latin@ Reader, was indeed an “exceptionalist and wishful panacea,” deeply embedded in the contours of anti-blackness."